Now and again, even the best green thumb could use a little help taking care of their plants. French electronics company Parrot just unveiled a new gizmo at CES 2013 called the Flower Power that makes it easy to monitor the health of your leafy friends. The small branch-shaped device can be inserted into the soil of your houseplants or lawn and used to monitor moisture, sunlight, humidity, temperature, and fertilizer conditions via your smartphone. Their corresponding application holds a database of up to 6,000 species, helping you care for your specific plant. It is a busy world, and there are times when even the most diligent gardener could use a reminder on when to water their house plants. 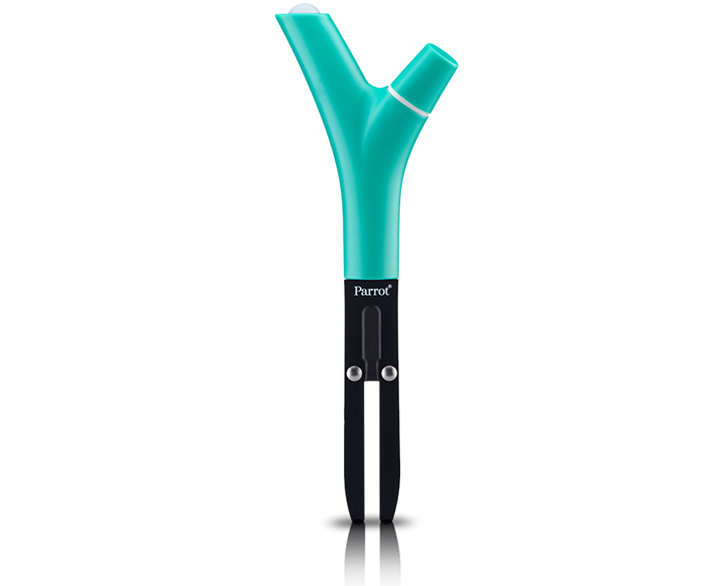 Parrot’s Flower Power sends you notifications and updates on your plants’ health via their Bluetooth-enabled sensor. A library of over 6,000 plants developed by botanists allows users to tailor their own care regiments. The AAA battery remains charged for six months, and the models come in both Emerald and Wood finishes. Parrot has yet to provide pricing and release information, but the Flower Power should be available soon.